Located in the Hotel Indigo, Brass Hat is one of Hattiesburg's most talked about evening destinations. Featuring chef-driven small plates, handcrafted cocktails and a well-curated wine list, all in a modern setting that pays homage to the city's distinctive railroad heritage. Offering its guests, a fine-tuned attention to exceptional service, Brass Hat is the place to see and be seen in Hattiesburg. Everything was wonderful! Will return! The experience was really good. The waiter was very friendly and was able to speak about the menu well. The food was elegant and I would recommend this place to a friend. I will be back! I found my new favorite drink. Top notch bartender. The drinks were wonderful! It was pretty noisy. I believe that was due to a special event going on. The food we had, a shrimp salad and pork chop were delicious, but our cheese plate appetizer was completely forgotten by our server. Overall I will definitely be back. The drink menu had lots of options as well. We always enjoy ourselves at the Brass Hat 🎩 We live only a few blocks away so we were very excited when they opened. The drink specials are fun and the truffle fries delicious! 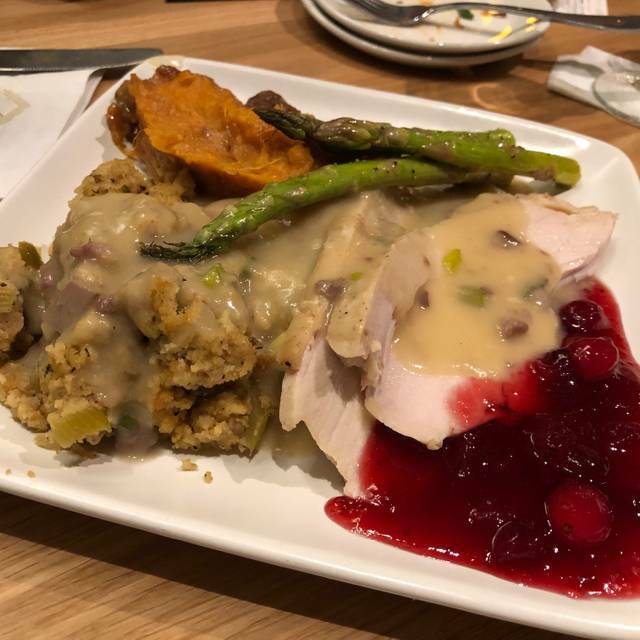 Thanksgiving dinner and it did not disappoint. The meal was “homemade”. Thanksgiving perfection ! Brass Hat was a very good time on a Saturday night. My wife and I went to the Brass Hat at halftime of the USM game and had a great time eating shareables and drinking some of the cocktails. The entree's (porkchop and soft shell crab) weren't our favorites but we will be back to eat the shareables again. Excellent experience. Our server, Clarissa, was an extra bright spot with great service AND great personality! Inside was really noisy. Outside was quiet. Not enough servers so it was slow. Limited menu but the food was good. Such a unique and fun little spot! Enjoyed the food and atmosphere. Excellent service. Many employees went above and beyond to make sure everything was perfect. Will definitely return and highly recommend!! What a wonderful addition to Hattiesburg! I was greeted upon arrival by the friendly hotel and restaurant staff. The atmosphere brings you back in time to the trains of the past. Small references about the history of the area fill the space. Plenty of seating and a bar that pulls you in. The Brass Hat has a wonderful drink and food menu enticing you to try everything! Drinks were perfect as well as the food. This is the place to be in Hattiesburg!